When a tourist rents a bike in Amsterdam, at some point the shop clerk will ask the following question. The question is in reference to the height of the saddle. But in the midst of the their excitement of just wanting to hit the streets, sometimes the ideal adjustment can be overlooked. Stretching out the legs and sitting on the rear rack is a habit that is synonymous with tourists. From all indications, this is likely a result of the seat being set too low and causing strain on the knees. 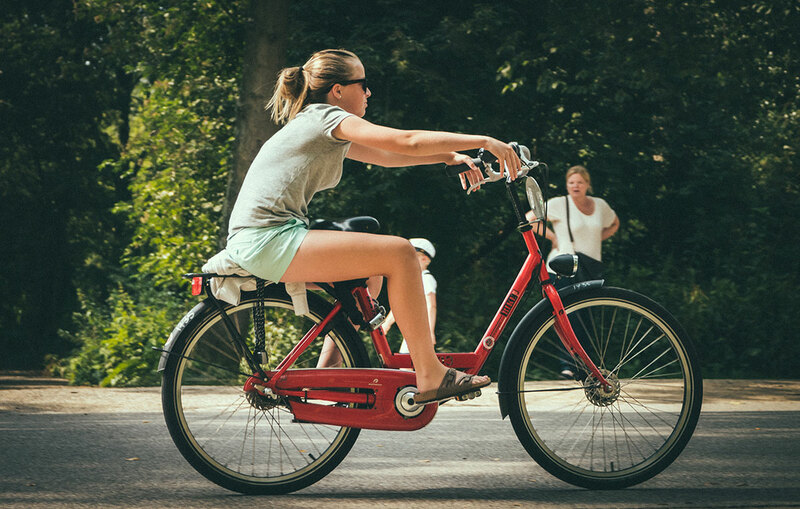 Yet there is also the possibility that this carefree approach or riding is simply a result of just being in Amsterdam, where a euphoric attitude is contagious. In any case, credit must be given to the tourist for demonstrating how to turn your bike into a lowrider.